This summer I had to replace my beloved Samsung Gear tracker. It had enough of my running and flat out refused to connect to my phone anymore. I really wanted the Garmin Fenix 5 but could not spend that much money on a tracker. So I decided on the FitBit Versa because it can track multiple activities, heart rate, and sleep patterns. This is the only Fitbit I have owned. I am pretty happy with it so far and I’ve shared a few pros and cons of the tracker below. 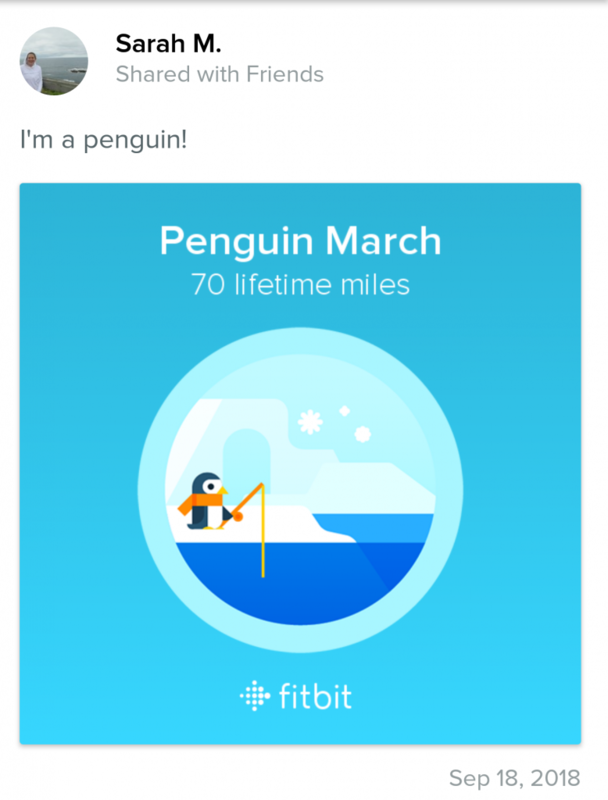 Fitbit Goals help keep you motivated by reaching new milestones – like a penguin march! Fitbit Challenges allow you to take new adventures – like hiking through a map of Yosemite Forest! Watch Size – All my other trackers have been smaller. It took a while to get used to the larger watch. I am ok with it now. This Fitbit does not go on sale. I looked for several months and couldn’t find it on sale anywhere. Setup- If you have never had a Fitbit before it takes a little bit to get all the settings sorted. 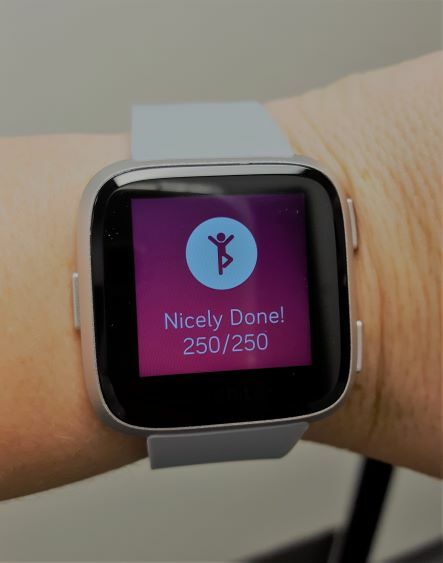 Thankfully Fitbit has a great tutorial/support page. I haven’t figured out how to wake it up with the touchscreen without tapping on it repeatedly. It does not an internal GPS. This Fitbit needs to be near a phone to map a running or biking route. If internal GPS is really important to you, I would go with the Garmin Vivioactive 3. It has all the same features as the Versa AND the GPS. Do you have a favorite activity tracker? Pros and cons for one you have tried before? Share your thoughts in the comments below.